DevOps- the chances are you might have heard this term numerous times. Even market trend watchers consistently post this as the biggest trendsetter that will alter software development methodologies and will have an overall disruptive impact on enterprise IT. DevOps is clearly a disruption that will get entrenched in 2017 as IT services companies and software developers increasingly use this as the key differentiator to be relevant to business demands and to add value to client side IT organizations. 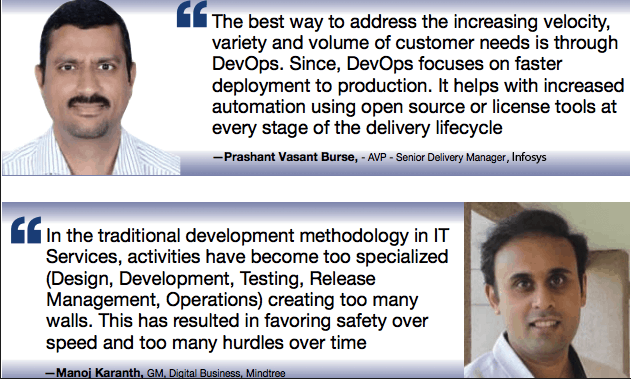 DevOps is all about agility and continues delivery that gives a high degree of modularity to software development. 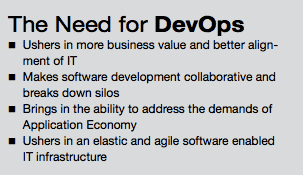 Let’s try and understand why DevOps is critical to IT- both to the supply and demand side. Probably a good starting point would be to ponder about a key question: What ails current software development practices and why DevOps is being touted as the panacea? We posed this question to industry experts; this is what they have to say. 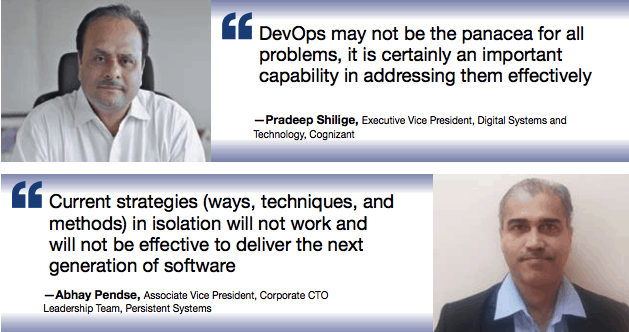 Pradeep Shilige, Executive Vice President, Digital Systems and Technology, Cognizant says, “DevOps may not be the panacea for all problems and it is certainly an important capability in addressing them effectively. By driving automation across the software delivery lifecycle, DevOps alleviates hand-offs and delivers the ability to quickly respond to feedback on demand. Further, by fostering a collaborative culture and necessitating skills enhancement across IT and operations staff, DevOps also helps build a more robust organization.” Experts also say that the software development world is rapidly moving towards development of next-generation products and services that are mass-personalized and deployed at massive scale. 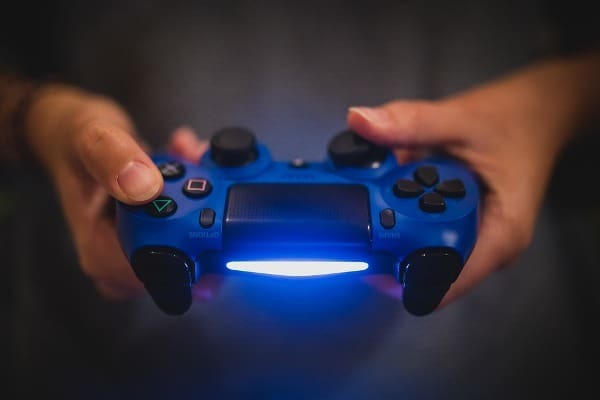 These systems are also typically always on, continuously adapted to changes and connect the physical and digital worlds. At the same time, these systems need to be delivered with shorter development cycles and higher programmer productivity while maintaining the quality of the offering. In the wake of these new rapidly evolving set of requirements, the question is whether current software development practices can meet the core objectives of delivering experience-driven software with shorter time to market, greater productivity and robust quality. Unfortunately, the answer to the question is ‘NO’. Clearly, the chasm between ‘Dev and Ops’ is a mindset problem that can be bridged by a combination of best practices and until unless both these teams collaborate, DevOps can never succeed. Manoj Karanth, GM, Digital Business, Mindtree quips, “This difficulty arises from determining involved roles and responsibilities. These change as per the project type and customer expectations. 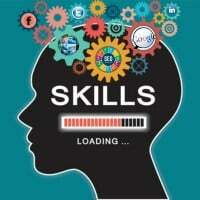 But more fundamentally, it is a question of skill. Most of the traditional ‘Ops’ teams do not have an appreciation of programming. Hence, infrastructure automation and release management becomes a challenge at their end.” “On the other hand, most programmers though do not have an understanding of how the code they developed works and scales in the real world. Hence they are unable to appreciate the design required for scalability, redundancy, firewalls, backup etc. Hence, getting the right mix where both these perspectives come together is the challenge. So, we have a situation where the required skill is programming, but with a domain understanding of infrastructure. Cloud computing makes this a little more manageable,” adds Karanth. Experts say that DevOps is about enabling rapid delivery of capabilities to the end consumers, which requires collaboration across the software delivery value stream that includes teams spanning across business, development, QA, and infra and ops. This entails embracing a set of capabilities that deliver speed (faster development and frequent releases), quality (stability & resilience in production) and value. Software tools are an essential part of DevOps and the key to orchestrating these capabilities seamlessly across this software delivery value stream. DevOps adoption entails building a set of capabilities across various functions in the organization in terms of people, processes, and tools. Here, Agile and Continuous Delivery (CD) are two critical components. While 100% error free code is still a utopia, DevOps can change the scheme of things here in terms of QA, SW integrity, cutting down on lead times from development to test, Beta to production or implementation. To achieve this DevOps allows continuous software delivery and stable operating environments cutting down on the time spent on fixing problems. Enterprises can deploy features every day in a secure environment using DevOps. 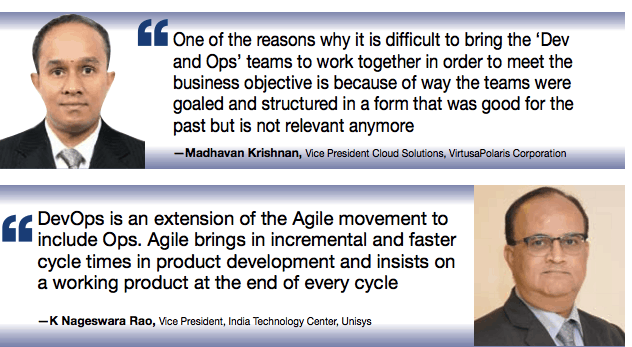 Reflecting on this K Nageswara Rao, Vice President, India Technology Center, Unisys says, “DevOps is an extension of the Agile movement to include Ops. Agile brings in incremental and faster cycle times in product development and insists on a working product at the end of every cycle. The challenge that remains is matching the delivery frequency with deployment readiness. The Operations (IT) teams are concerned about the stability of their live environments and do not want to compromise for faster but potentially unstable releases. It also requires planning often and more cycle time from operations to deploy. Continuous Integration (CI) and Continuous Delivery (CD), which are part of DevOps, address this challenge. 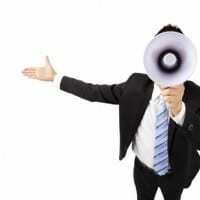 Let’s look at DevOps from and its impact on IT organization. Says Abhay Pendse, “Enterprises are moving to a virtual/ cloud infrastructure (both hybrid and public) and therefore have the ability to incorporate an on-demand and costeffective DevOps solution. 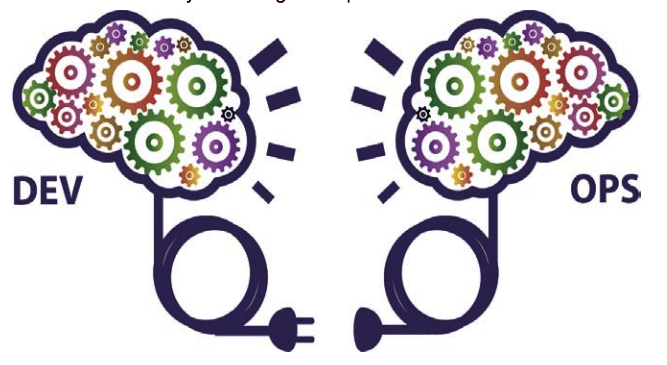 DevOps is especially relevant to the digital transformation journeys for large enterprises, which tend to have rigid ‘Dev and Ops’ separations and are accustomed to longer release cycles. 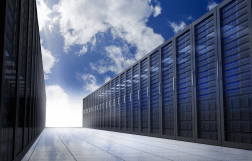 Cloud-source your infrastructure; crowd-source your development is a mantra for success in today’s software-driven world for born-in-the-cloud companies and large enterprises alike.” IT organizations have the mandate to align IT with business for tangible profitability and outcomes. So if a business side of the enterprise requires solutions to start a project, IT, unlike in the past cannot go back to the businesses with a long drawn out schedule to deliver the project. Decoding DevOps 0 out of 5 based on 0 ratings. 0 user reviews.